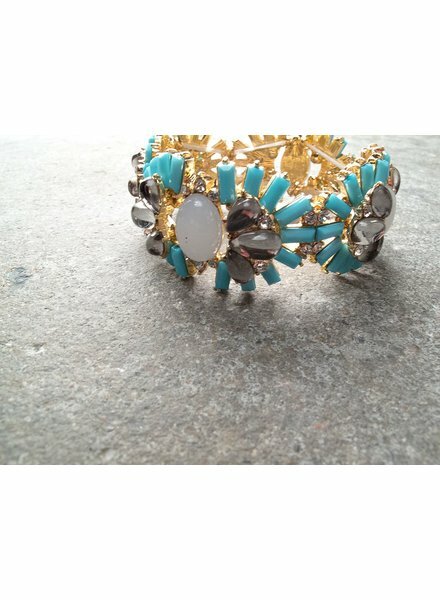 Turquoise, graphite, and white colored rhinestones and beads with stretch. 1 inch wide. 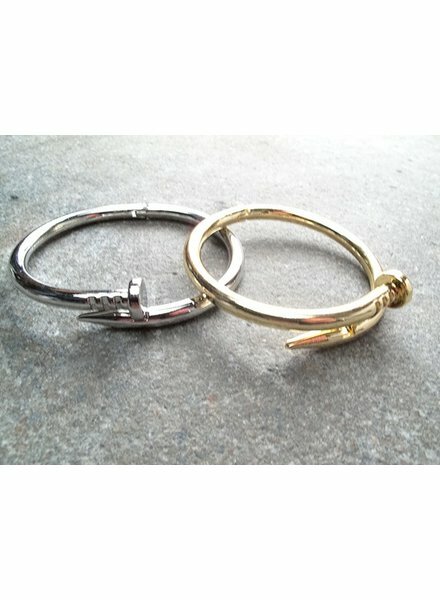 Nail bangle in gold or silver with magnetic clasp. 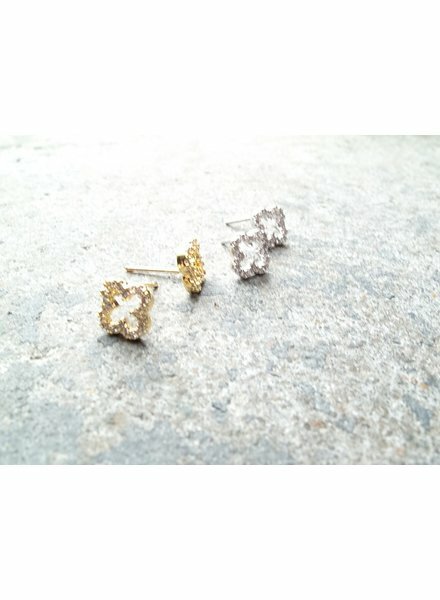 .5cm rhinestone open clover stud.